Set across 243 acres on California’s spectacular Big Sur Coast, Ventana Inn & Spa is a rustic-chic resort for intimate weddings and romantic elopements. Stunning ceremony and reception spaces combine with luxurious suites and amenities to create an idyllic wedding venue. Say “I do” on their outdoor patio overlooking the Pacific Ocean, then celebrate your reception on their terrace as the sun sets over the horizon. Indulge in a gourmet dinner under their canopied arbor, with romantic lighting and a large fireplace, then dance beneath the stars backed by dramatic mountains. 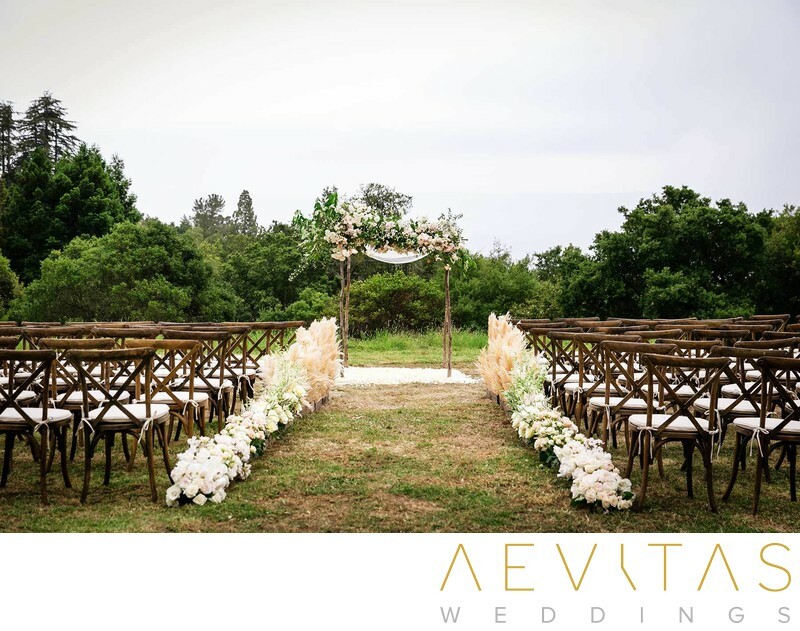 Opt for an intimate ceremony as part of their Eucalyptus package, including a reception beneath the arbor, or select the ceremonial site of your choice as part of their Cypress and Redwood packages for 30-150 guests, coupled with a reception on their Upper Terrace. Ventana Inn & Spa weddings can be held at either midday (11am-4pm) or during the evening (5-10:30pm), with longer wedding events available for a surcharge. Wedding packages include wooden chairs for both the ceremony and reception, as well as tables, linen, china and glassware, with patio heaters provided to keep you and your guests warm on chilly nights. Approved wedding planners or coordinators are mandatory for weddings at Ventana Inn & Spa, and you can select from their preferred vendor list to help you execute a dream day. All food and beverage is provided exclusively by their in-house catering team, with couples having the freedom to customize menus according to their own tastes. At the end of the evening, retire to one of their luxurious suites, equipped with hot tubs and fireplaces, or select one of their more spacious stand-alone villas. Daily yoga and Tai Chi classes are offered, as well as a sauna, spa and pool, while guided walks allow you and your guests to experience all Big Sur has to offer on a wedding weekend away. Ventana Inn & Spa has a reputation as one of California’s most outstanding wedding venues, combining a woodsy elegance with an undeniably romantic setting and world-class service.